When you drink cup after cup of coffee day after day, you might begin to get bored with what was once your favorite blend. Even the occasional coffee drinker might like to liven things up. 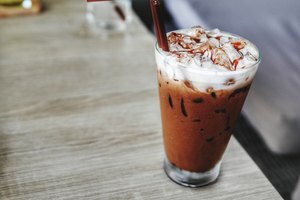 You have plenty of options in this case; you can switch to a different coffee, add a splash of flavored syrup to your drink, mix in some chocolate for a mocha or even try adding a shot of whiskey. Not all modifications need to be so extreme, however. For a simple but satisfying shift in your routine, try adding some ground cinnamon to your coffee. Add 1/8 tsp. 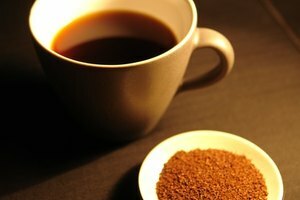 of ground cinnamon per cup of coffee to your coffee grounds if you are brewing coffee at home. Brew the coffee as usual. This will give your coffee a hint of cinnamon flavor without the trouble of actually mixing the cinnamon into your completed drink. Sprinkle ground cinnamon onto your coffee if it is a latte or other foamy, frothy drink. This will give you a burst of cinnamon with each of your early sips as you consume the foam on top of your coffee. Start with only a small amount of cinnamon, as it can be overwhelming if you are not used to the flavor. Take a sip, and determine whether you want more. If so, sprinkle more onto the drink until you are satisfied with the intensity of the flavor. Put about ½ tsp. 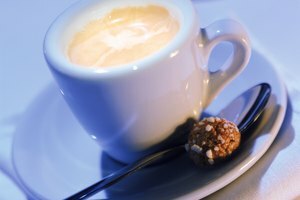 of freshly ground cinnamon into your coffee cup if you are drinking purely liquid coffee or coffee that is only slightly foamy. Stir the coffee thoroughly with your stirring stick or spoon to blend the cinnamon into the drink. Taste the coffee and add more cinnamon, if desired. Modify the rest of your future coffees to suit the cinnamon flavor if you enjoy it. Making coffee with plenty of cinnamon and eggnog instead of milk offers a warm flavor reminiscent of the winter holidays, for example. 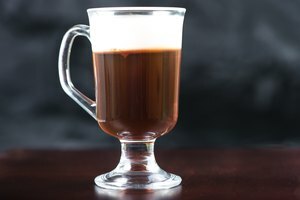 Mixing some cinnamon into an Irish coffee (coffee with whiskey) will provide an exceptionally warming and intense drink with an extra kick of spice. For a mellower coffee with cinnamon, add a splash of vanilla syrup. Its mellowness will complement the rich flavor of the cinnamon. Store several cinnamon sticks with your whole coffee beans to give your future cups of coffee the faintest hint of cinnamon flavor.